In stock -This product will ship today if ordered within the next 10 hours and 34 minutes. 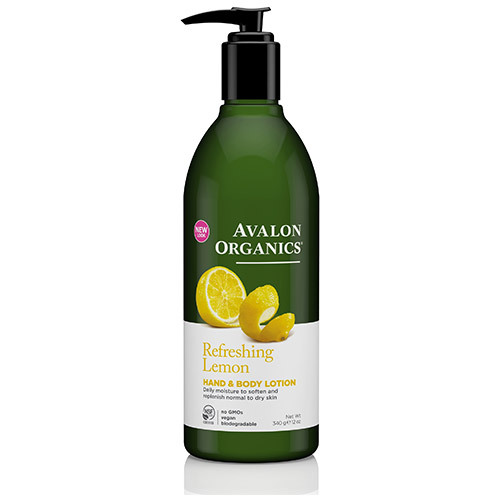 Refreshing lemon essential oil, safflower oil, aloe, shea butter and nutrient-rich beta-glucan work together to restore skin`s natural lipid balance. A daily dose of nourishing moisture keeps skin soft and supple. Below are reviews of Avalon Refreshing Lemon Hand & Body Lotion - 340g by bodykind customers. If you have tried this product we'd love to hear what you think so please leave a review. Lovely refreshing lemon scent although smells slightly of lemon balm which isn't my favourite (hence I've given it 4 stars not 5). Not sure why this is as there's no lemon balm in the ingredients. The pump action dispenses well and the lotion is absorbed quite quickly.